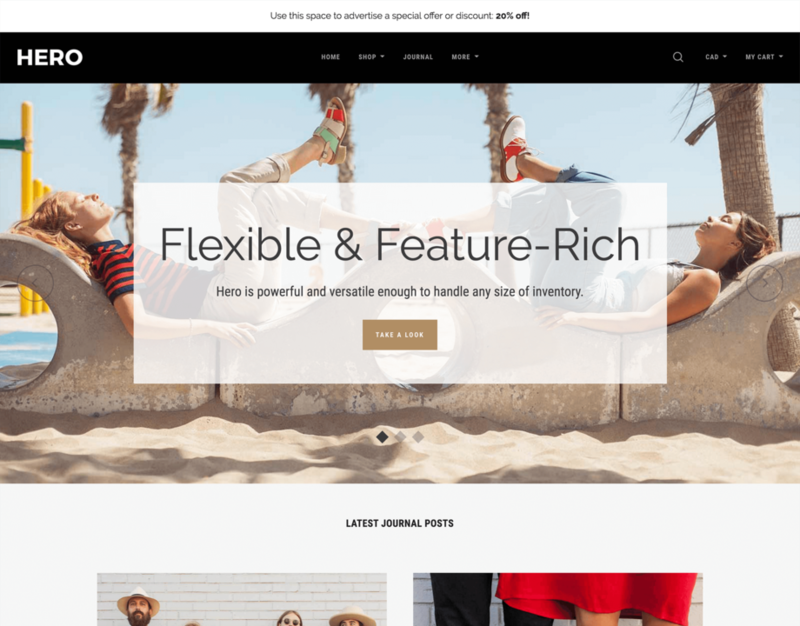 Hero is a flexible and feature-rich theme designed to wow shoppers. 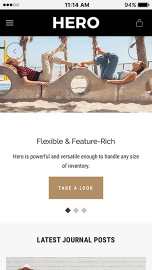 Its unique product grid and impactful use of white space call attention to your products, while its customizable background lets you tailor your theme to perfection. Powerful enough to handle any size of inventory, Hero is ideal for boutique and enterprise stores alike.